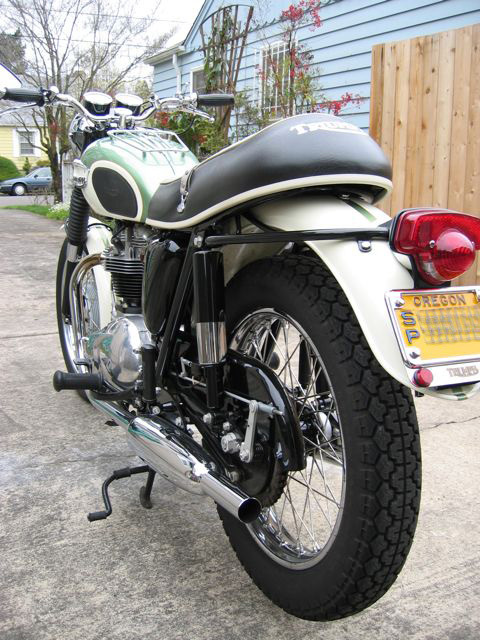 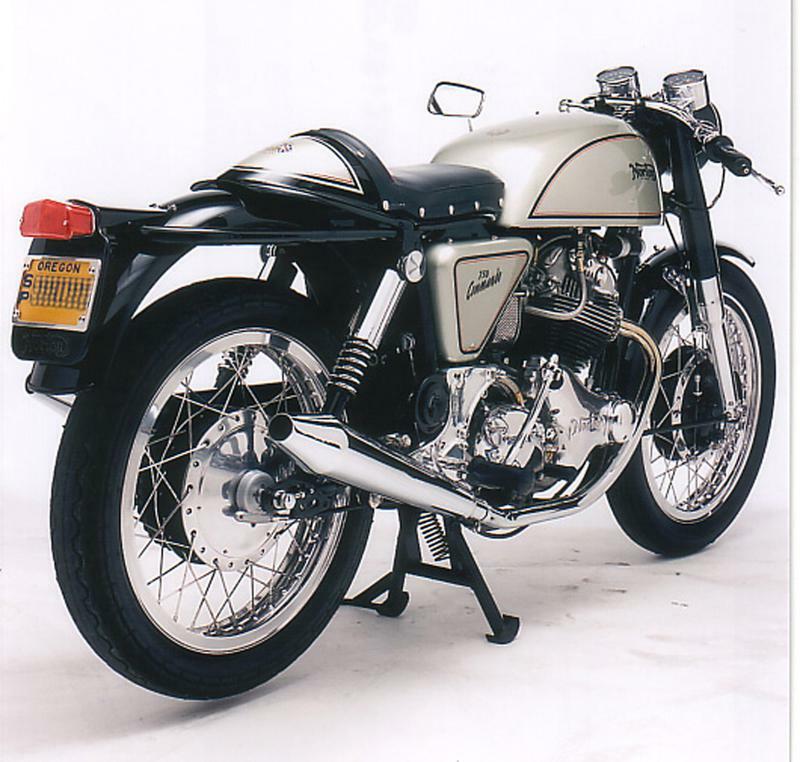 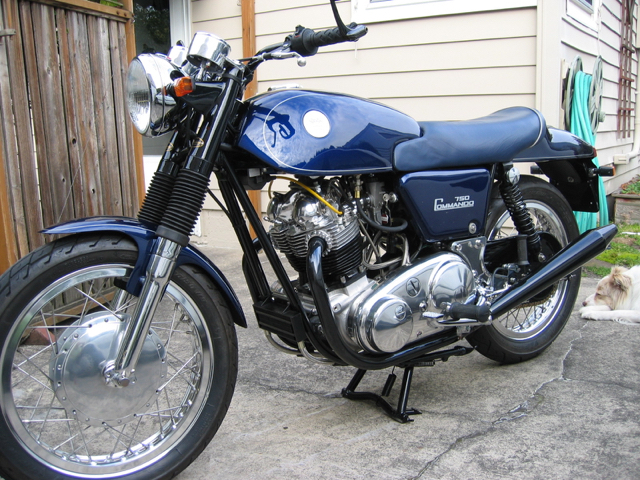 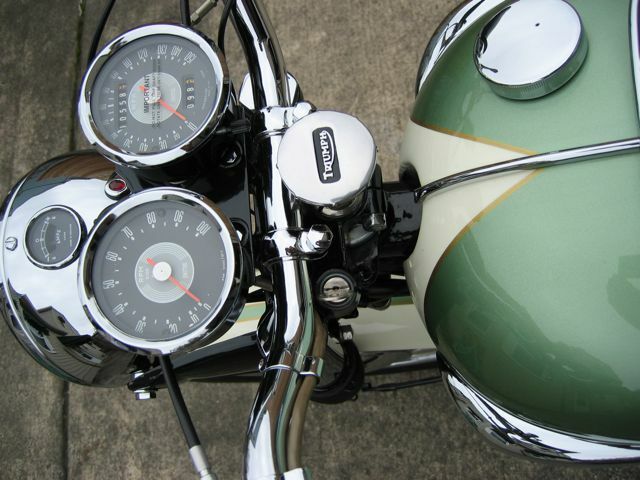 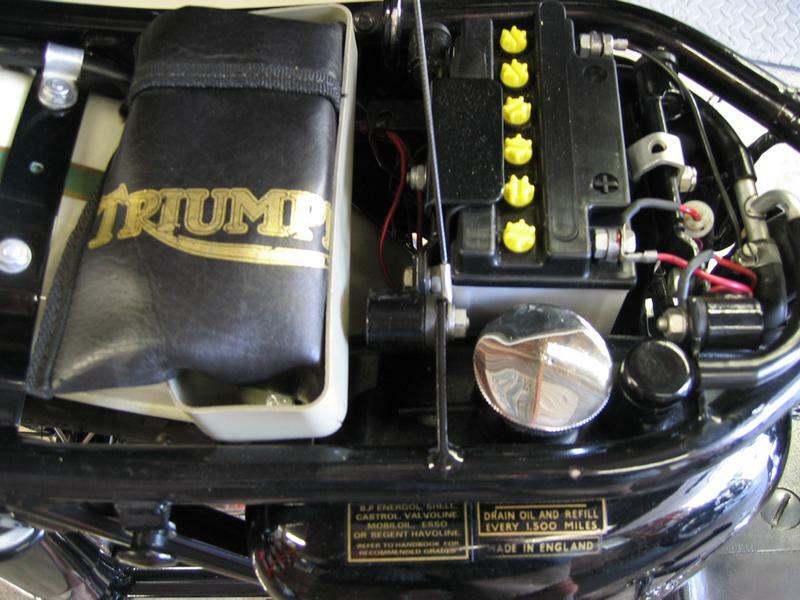 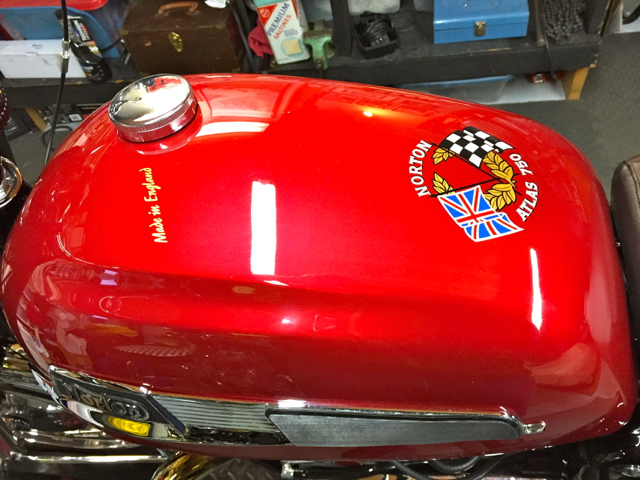 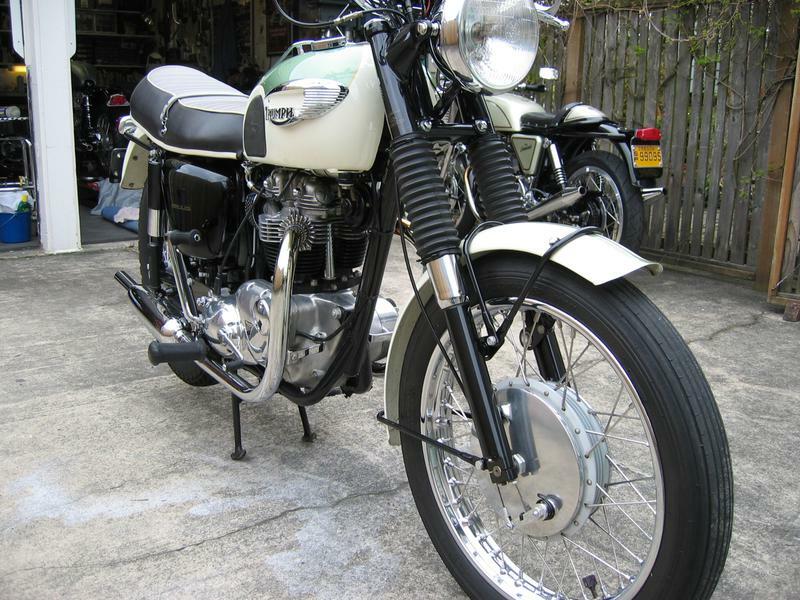 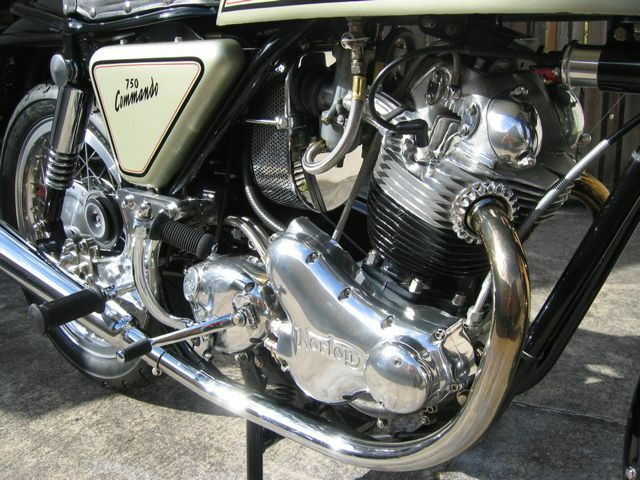 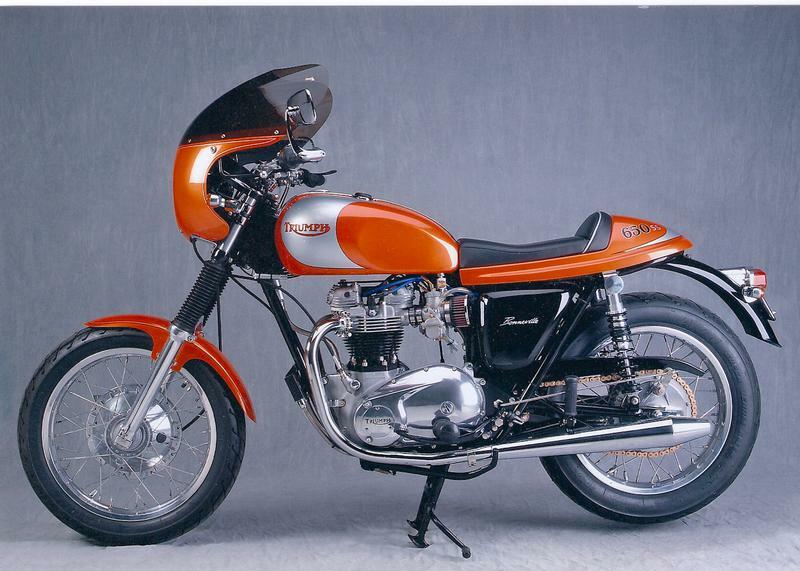 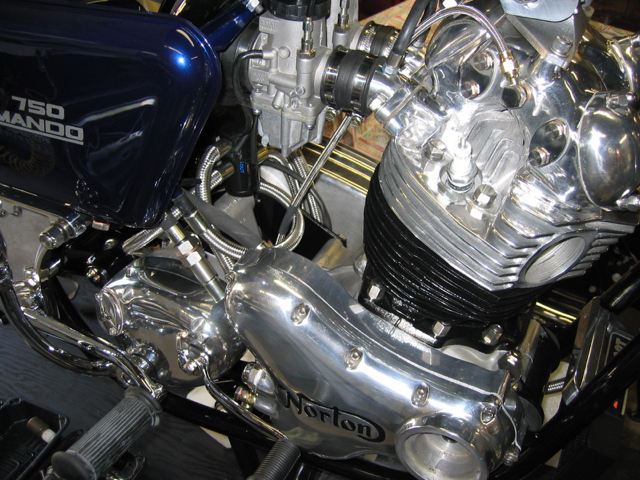 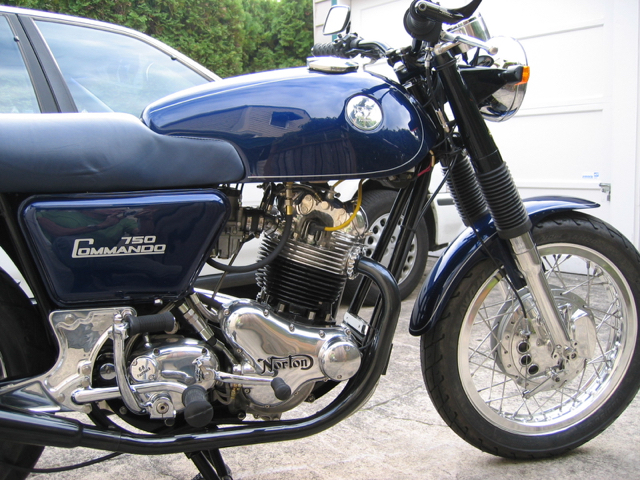 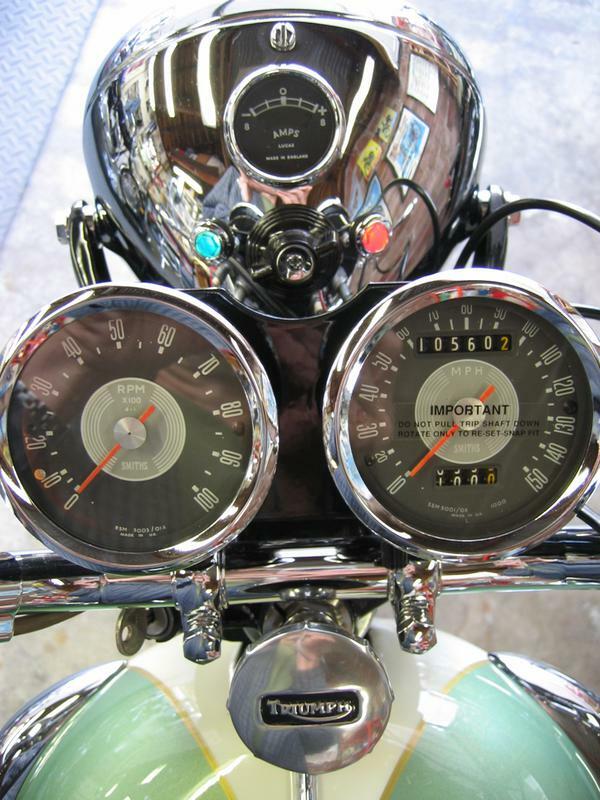 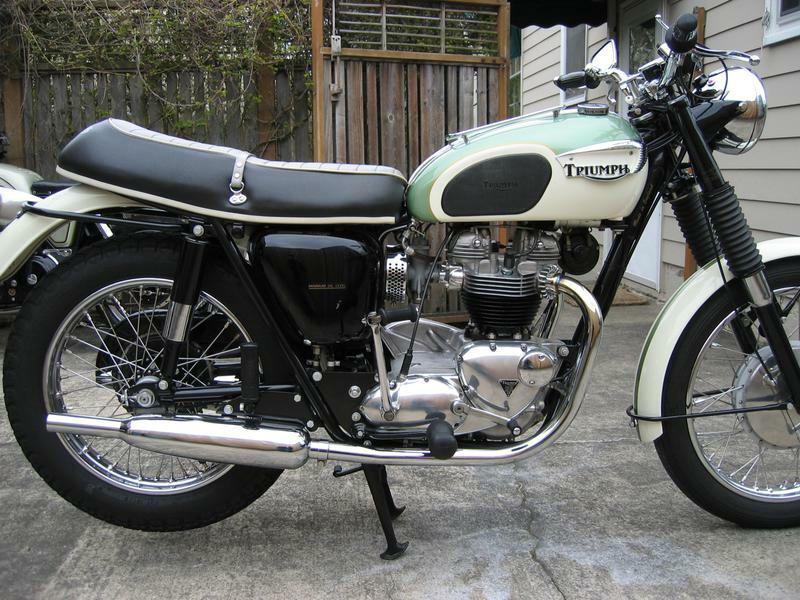 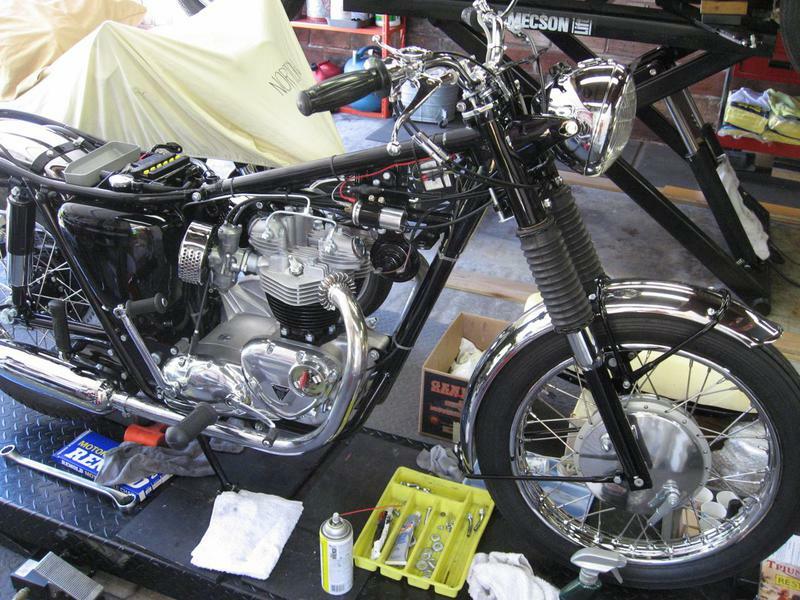 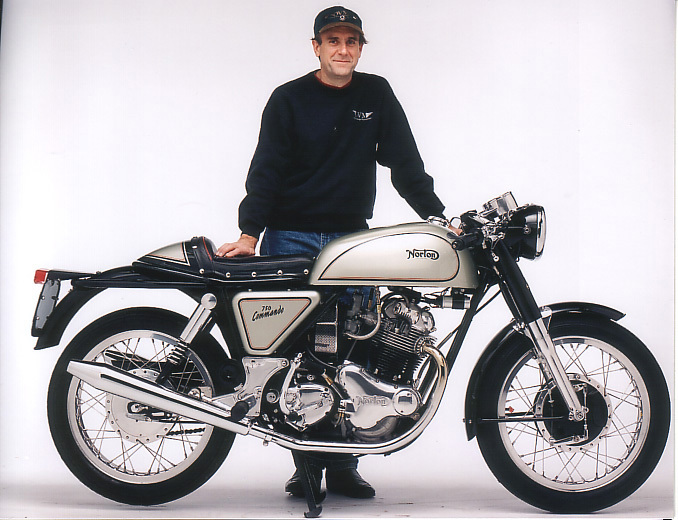 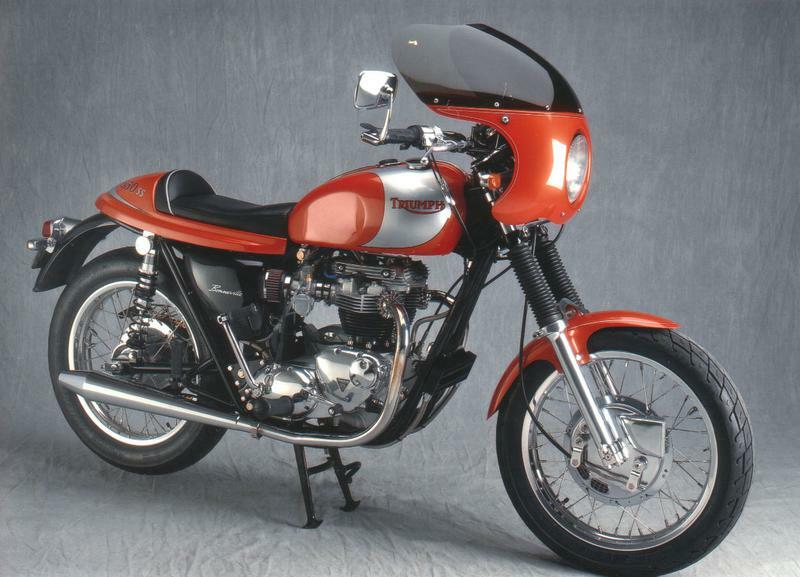 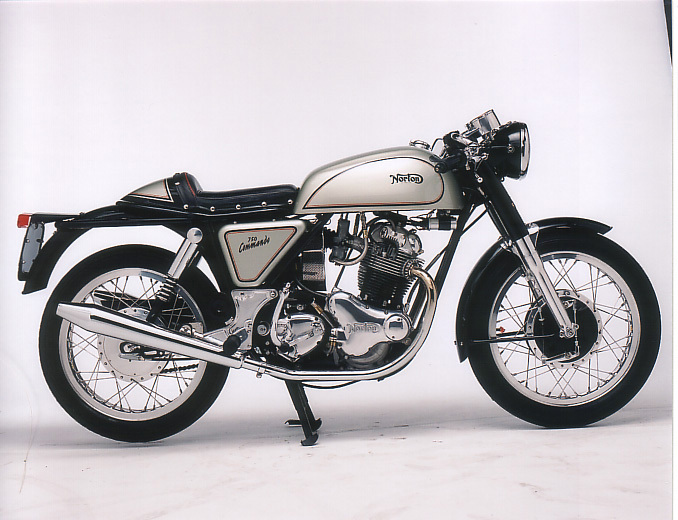 These pages represents some of the restorations I have completed on Norton and Triumph vertical twins. 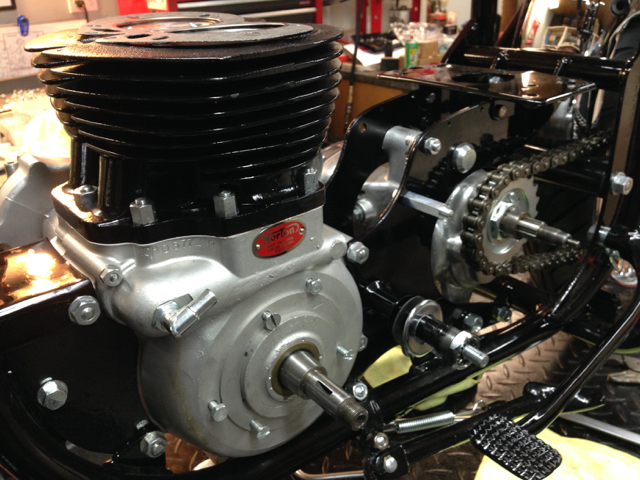 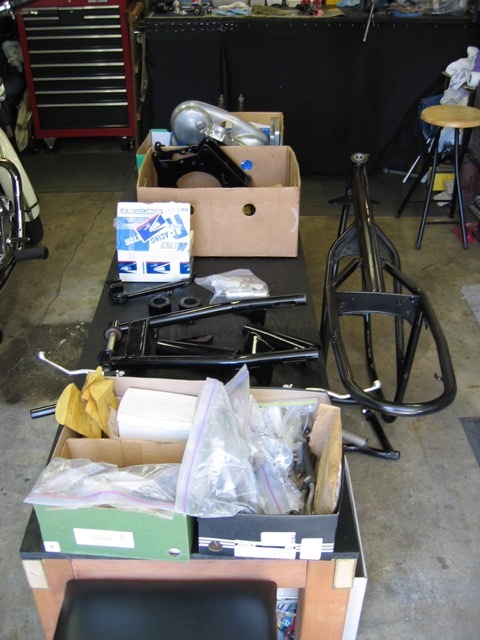 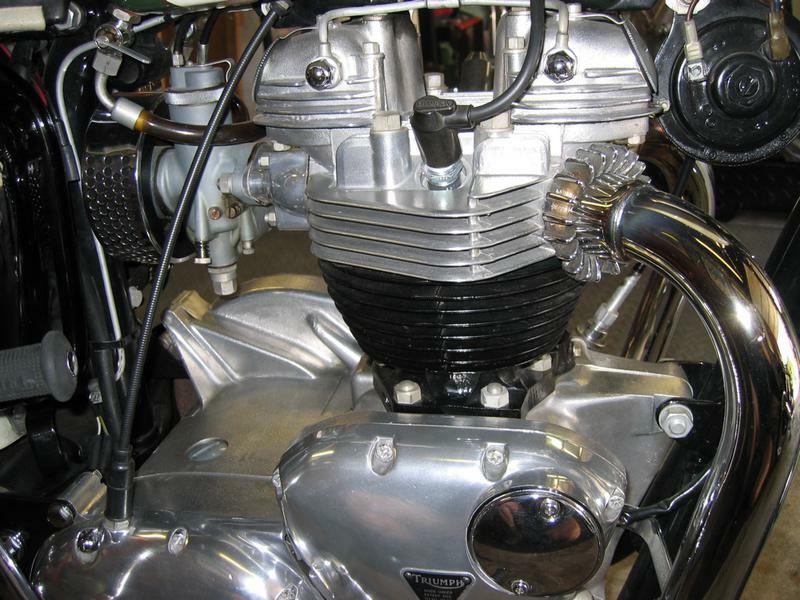 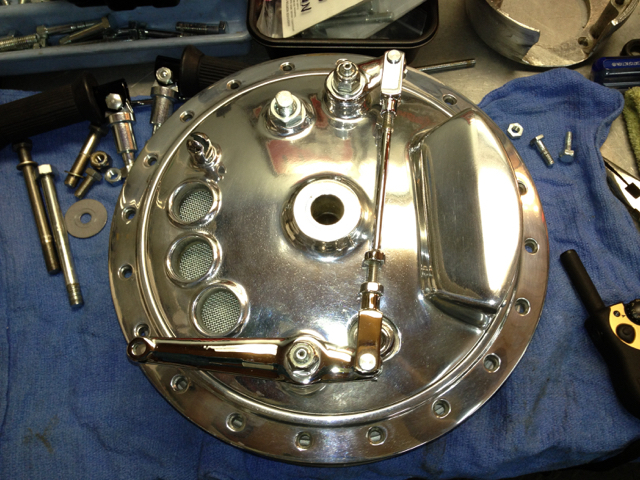 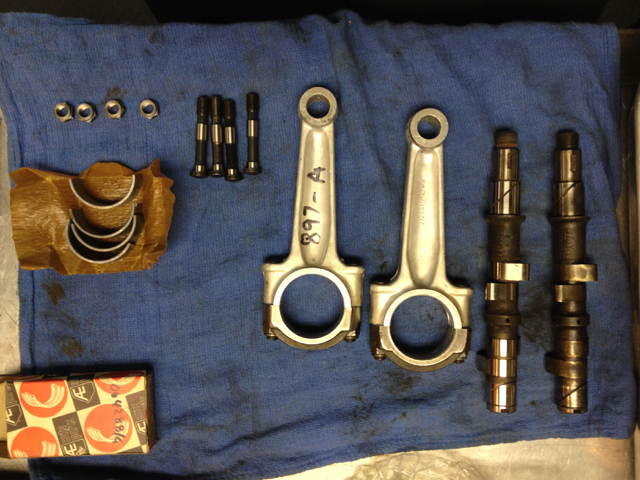 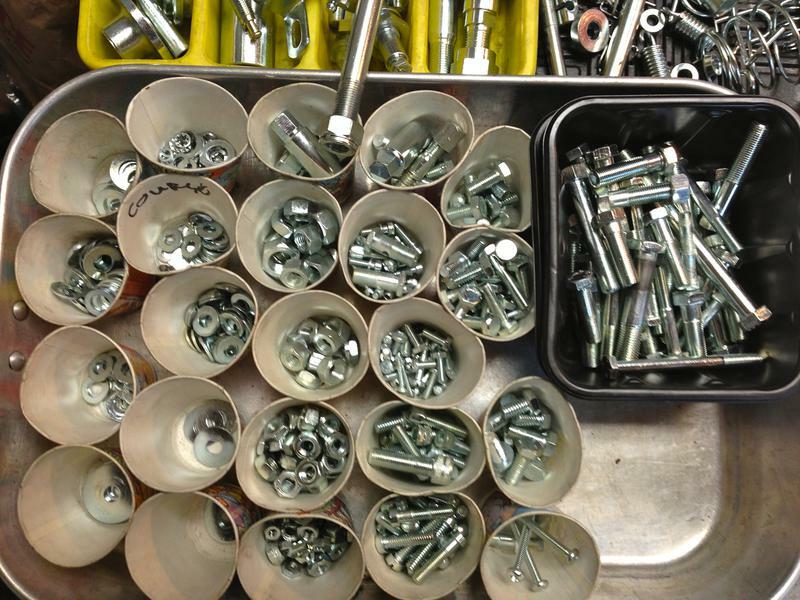 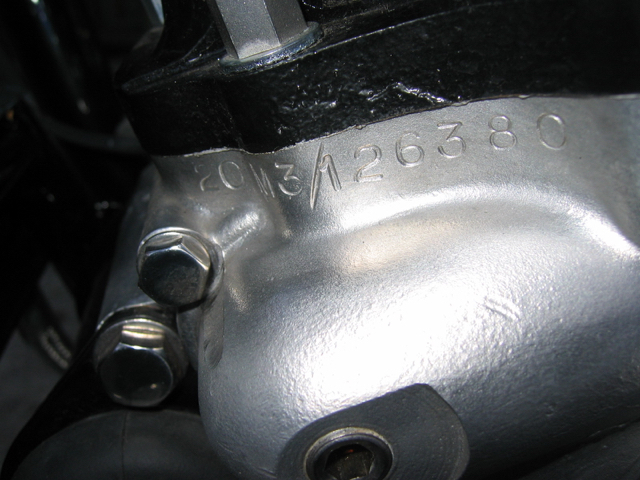 My process involves a complete frame-off nut and bolt restoration — stripping all components to the bare basics. 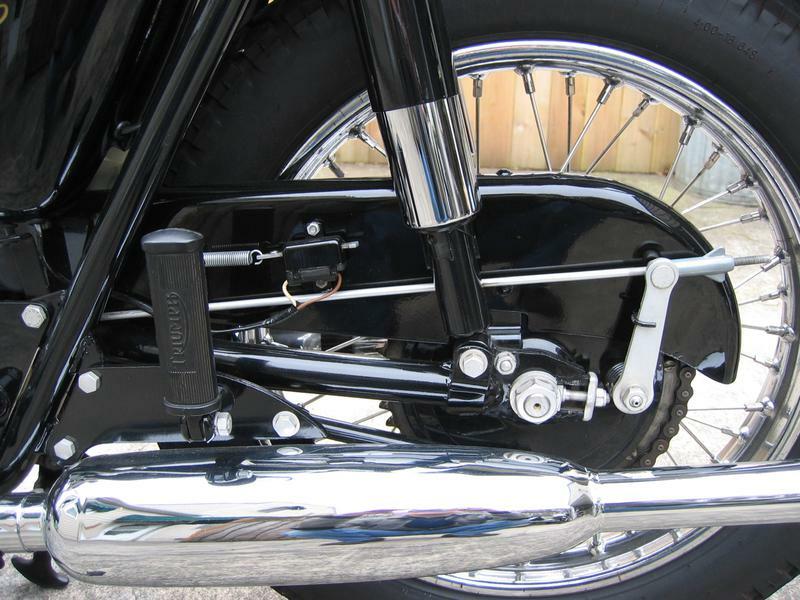 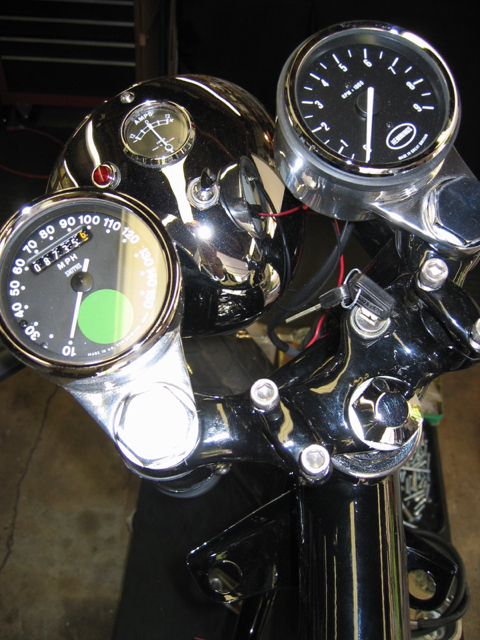 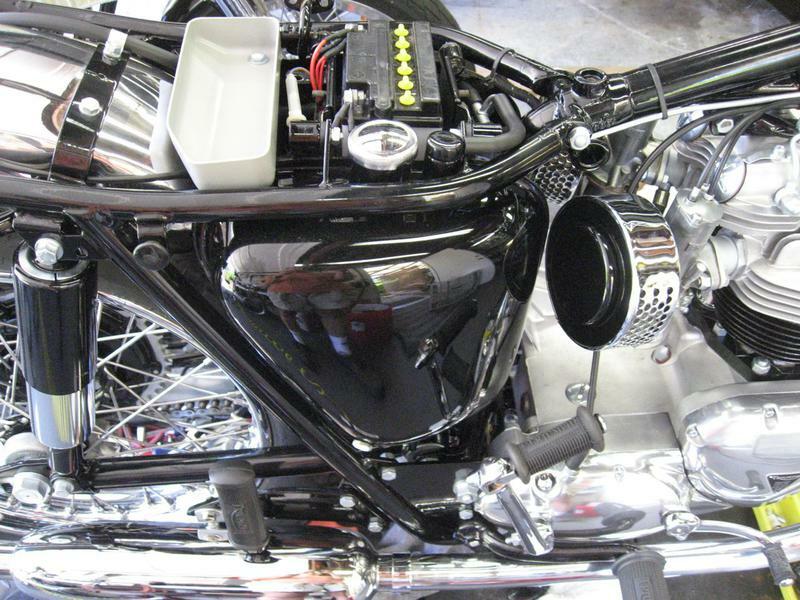 All black frame pieces are powder-coated, all aluminum components are professionally polished to a chrome like finish, and all fasteners are re-plated in either cadmium, zinc, or show chrome. 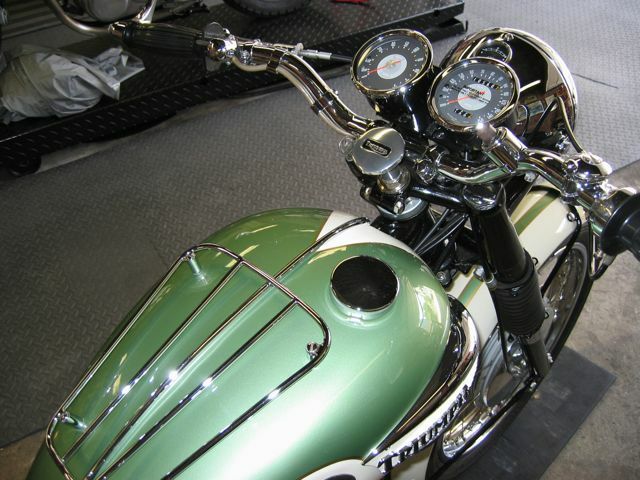 All fenders tanks, side covers, are professionally painted with quality automotive paints, and color sanded and polished to perfection. 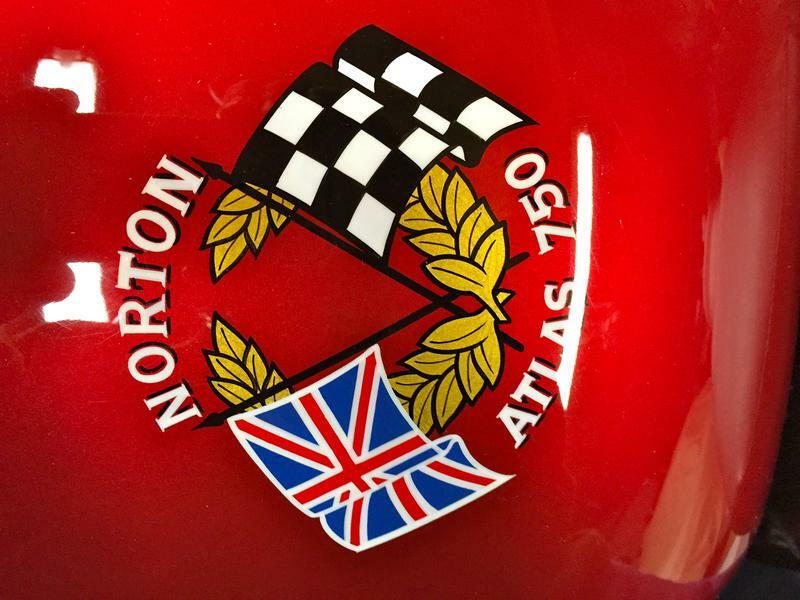 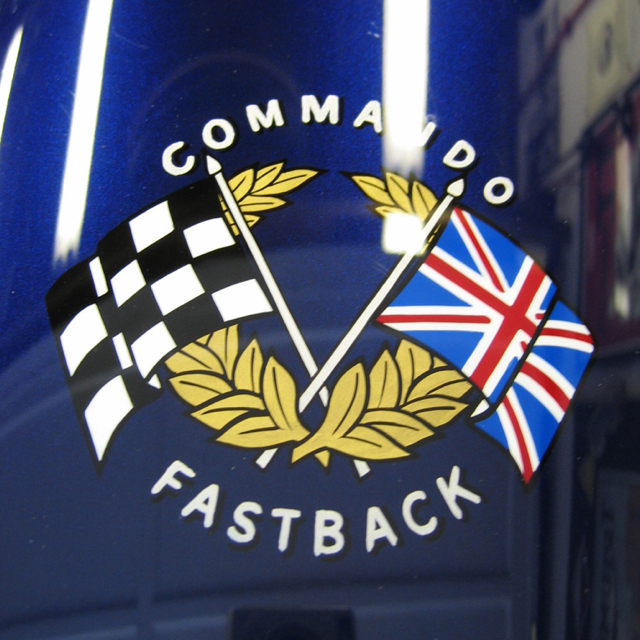 All pinstriping or custom lettering/logo work is professionally hand-done by fellow artist Mitch Kim Pinstriping. 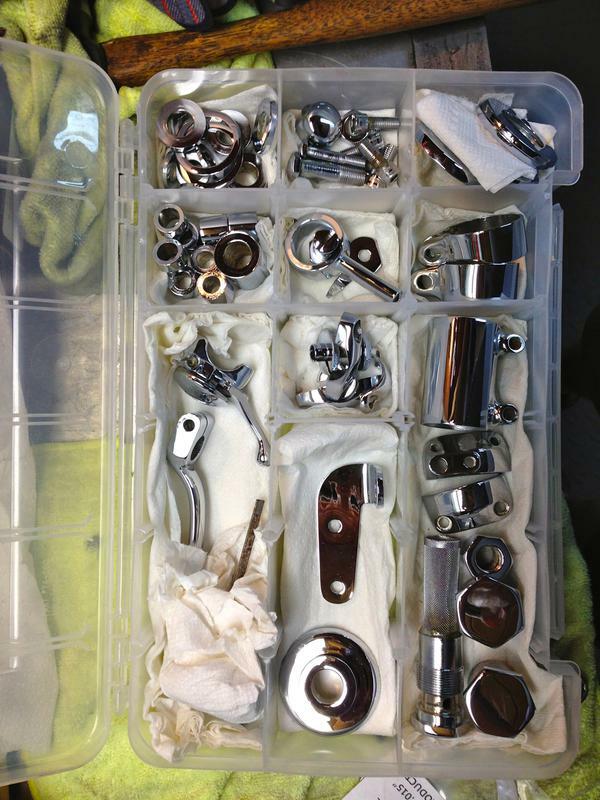 Every wear item has been replaced as new. 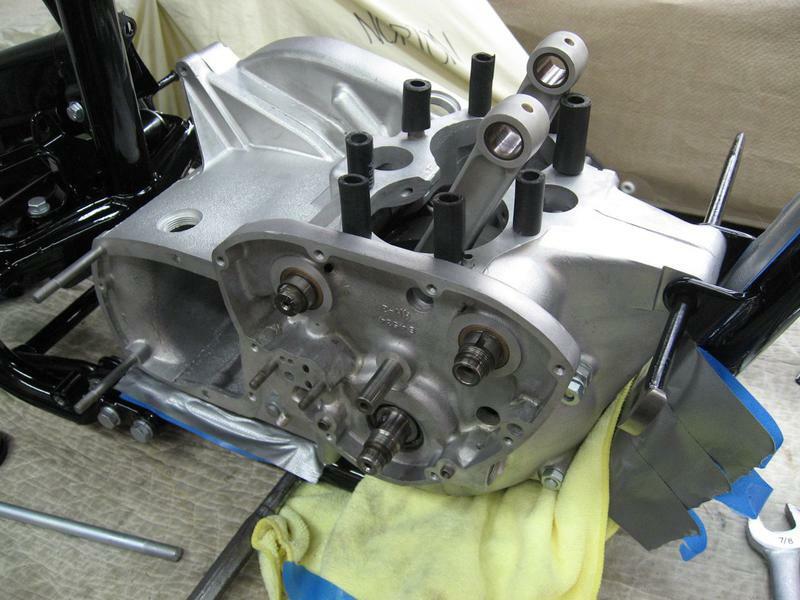 Detailed care and craftsmanship have gone into each and every component.